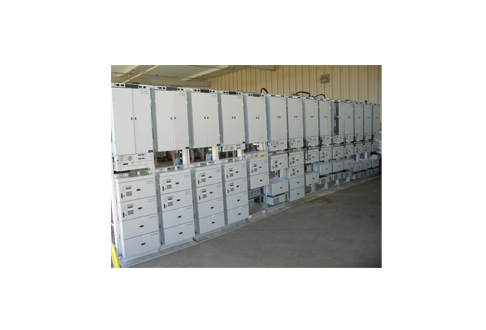 Save space with the Harris DVM microwave radio line that allows you to put the terminal and repeater in a single rack. Take advantage of the multiple frequency band support and their drop-and-insert capabilities to put the finishing touches on your network rollout. Harris radios are an industry standard thanks to their reliability and functional support, even beyond normal years. Worldwide Supply provides support for Harris DVM units, even those that have reached end-of-life status, with one of the largest supplies of new, used and refurbished Harris DVM microwave radios and parts. Core features of the Harris DVM include operations across the 6, 11 and 18 GHz frequencies; capacities for 4T1 to DS3 and 4E1 to 16E1; and drop/insert functionality. The Harris DVM family offers significant configuration support to boost your network, with 4, 8, 12, 16, T1 and 28 DS3 options to make it easy to work with your system and your partners. A number of operators, service providers, municipalities and carriers already rely on used Harris DVM equipment. Give your network an affordable boost with used Harris DVM radios from Worldwide Supply, where everything is backed by a lifetime warranty, on-call engineers, repair services and international parts delivery options.